WASHINGTON — The U.S. Supreme Court is ordering a lower court to take a new look at a federal agency’s designation of Louisiana timberland as a critical habitat for an endangered frog found only in Mississippi. 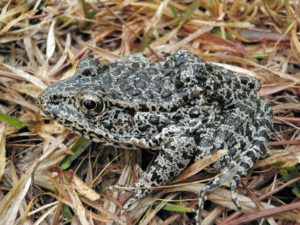 The court ruled Tuesday in a case involving a 1,500-acre tract owned by the Weyerhaeuser Co. and others that has been identified as the only potential breeding ground outside Mississippi for dusky gopher frogs. Chief Justice John Roberts wrote for the court that judges must consider the definition of the term habitat in the Endangered Species Act and whether it includes areas like the Louisiana tract that might have to be modified for the frog to thrive there. Justice Brett Kavanaugh took no part in the case. He joined the court after arguments.